Printing for iPad enables easy printing of photos, web pages, and various document types. 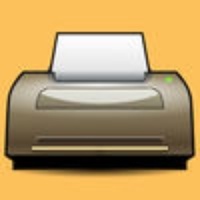 This app is great for using printers that can't be found with air print. t allows you to search for printers to add using wifi, or even manually enter a printer. 10 stars." Dec 9, 2011 This app did have an initial learning phase but everything is explained quite nicely in the help section. nd once understood the ropes, can print almost everything want ( haven't found anything yet which haven't been able to print actually ). Highly recommended." pad atheist turned devotee, Nov 23, 2011 " can't stop using this app. Regards." Sep 25, 2011 FLE PRNTNG. Networked Photosmart 7960 on Jetdirect. am able to print my documents, PDFs, etc from my file shares via Netportal ! Downloader works well for web page printing. Email attachment printing is sweet!" Jul 22, 2011 View/print many document types, including Word, Excel, bitmap, TFF, text, Open Office, GF, and encapsulated PostScript. Create new text documents. Use a web browser to transfer files between your computer and this app. Print to networked or shared printers. No additional software is necessary. This app includes support for over 1,400 printers from , Epson, Canon, Samsung, Brother, Lexmark, Xerox, Ricoh, Oki, Kyocera, nfotec, NR Lanier, and many more! Print remote files on MobileMe, Box.net, or Dropbox, or download them into this app. Print webbased files or download them into this app. Capture and process images from your onboard camera or photo album. THS PRNTER? See the list of printer models this app supports at http//www.ndilitechnologies.com/help.html. S CN FRST? Yes. Printing Verification is our free demo printing app. You can use it to verify that any of our paid printing apps will work with your printer. THS PRNT S? mport the files from your other iPhone/iPad apps into this app, and then use this app to print them. (The operating system of the iPad/iPhone/iPod, iOS, is designed such that each app you install is given its own storage space. There is no centralized (shared) storage space on your device. This means that this app's proprietary printing engine only works within this app. To say it another way the iOS does not support/allow third party systemwide drivers. The iOS cannot use this app to print files within another app's storage spacefor example, files stored in Pages, Numbers, Safari, Notes, Mail, etc. Therefore, files created in other apps must be imported into this app.) MPORT FLES N THS ? Use a web browser to transfer files between your computer and this app. Use iTunes to upload files into this app. Use a WebDV server to transfer files. Email a file to yourself. Then, open the Mail app, press and hold down the attachment until the "Open n..." menu appears. Select this app from the list of apps displayed. S VLBLE? Yes. n addition to the builtin user guide, you can also ask questions via our realtime chat Customer Support module. Check these links to find your download for Printing for iPad for & iOS or for your device iPad. The app Printing for iPad is compatible with te following devices.